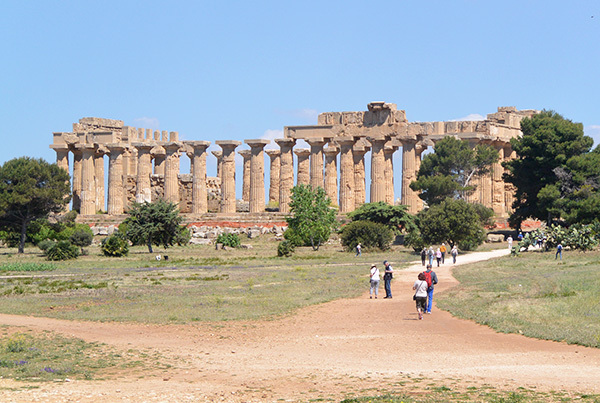 Although we have lived in Italy for eight years full time, plus another eight-half years, we have never taken the time to explore the island of Sicily until just recently. 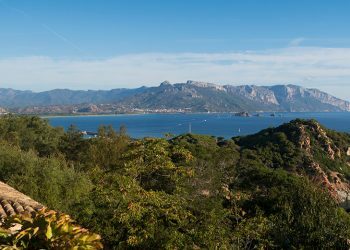 After arriving back in Umbria for our usual six-month stay, we were back just a week before we headed off the Sicily. We even left Umbria a day earlier than planned because the weather was very cool and rainy. 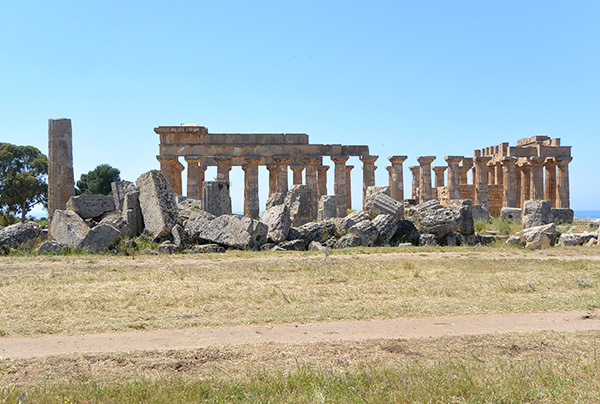 Unfortunately, the rain followed us to Sicily and the first few days of our trip were miserable. 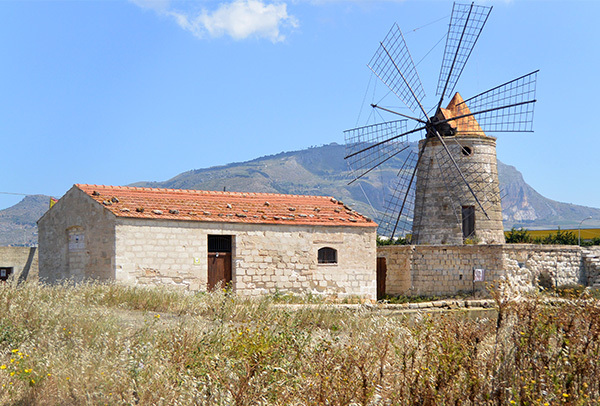 It took only eight hours from our Umbrian farmhouse to reach Messina, Sicily after taking the ferry from Calabria. 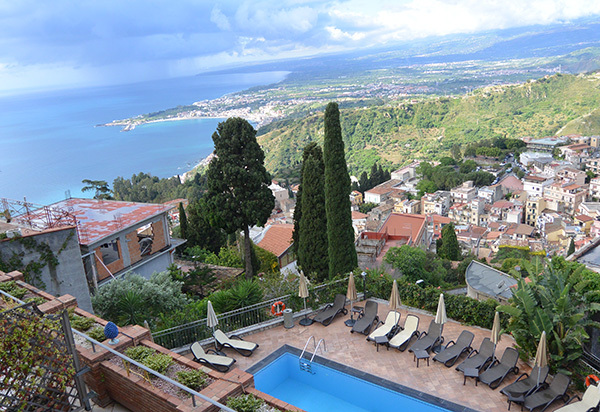 Another forty-five minutes and we arrived at our first overnight stay in Taormina. Overall, our trip turned out great, and we got to explore a lot of the island by driving around it and spending two nights at each hotel. 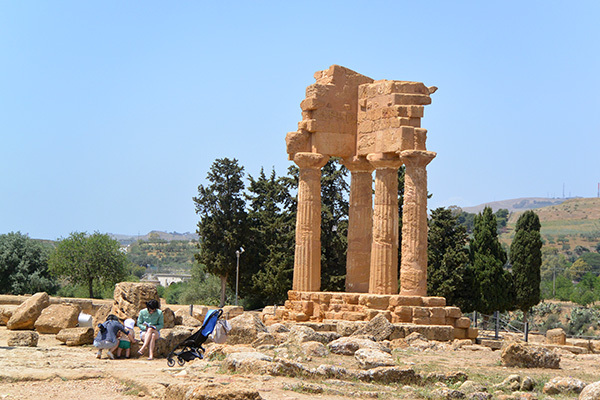 Unfortunately, the roads in southern Sicily are pretty bad as mudslides wiped out the major highways, so you are stuck driving on small state roads that seem to wind through every small town possible. 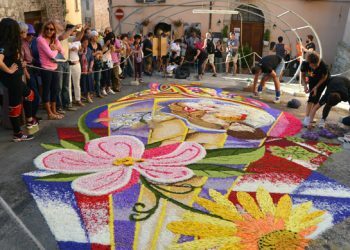 We quickly found that we preferred the smaller towns and cities to the larger ones, and I could skip Palermo and Messina altogether. 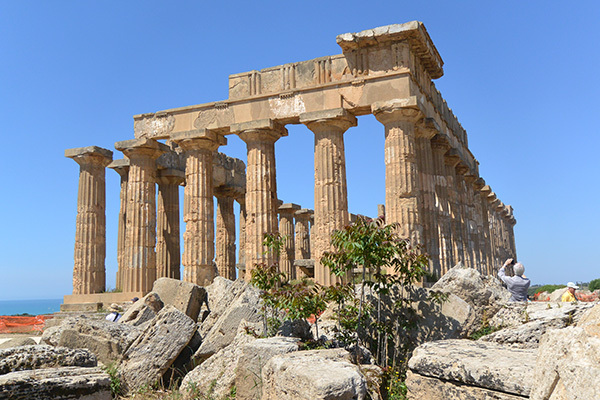 I do think, unless you are very comfortable driving in Italy or speak Italian, that Sicily is probably one island it would be best to explore with a tour group. 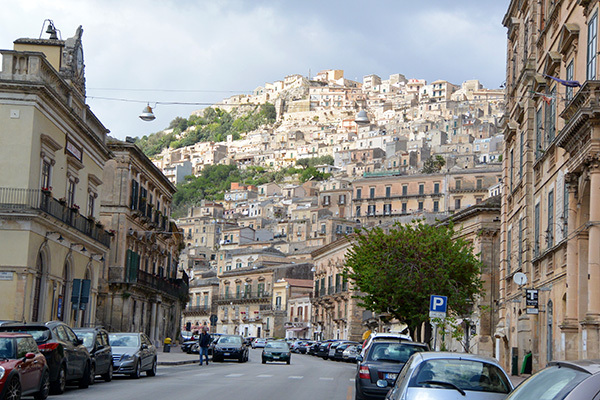 If you do drive in Sicily, just remember that stop lights, stop signs, lines in the road dividing lanes, crosswalks, and marked off parking spots are just suggestions to Sicilians. 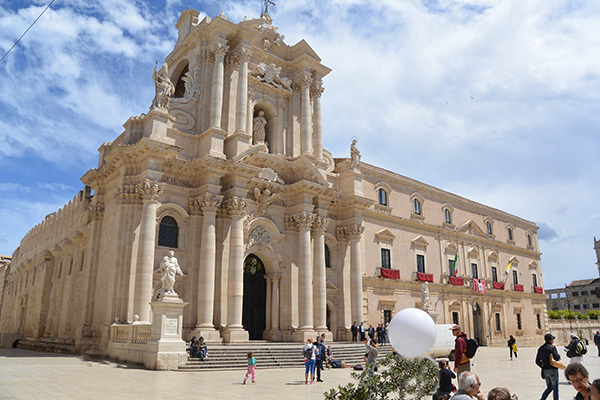 I highly recommend taking a tour of Sicily with our friend Judy Witts Francini who has been taking folks on tours of Sicily for over nine years. 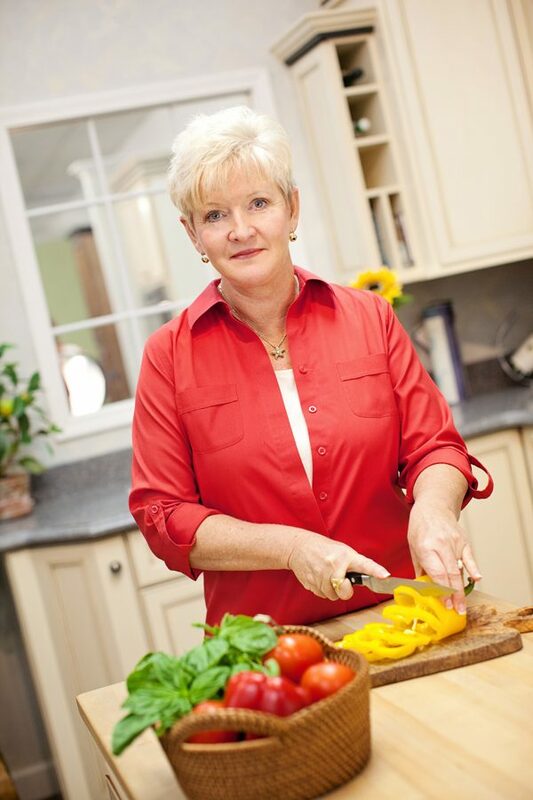 She is a wealth of information on where to stay, where to eat, and what sights to see. 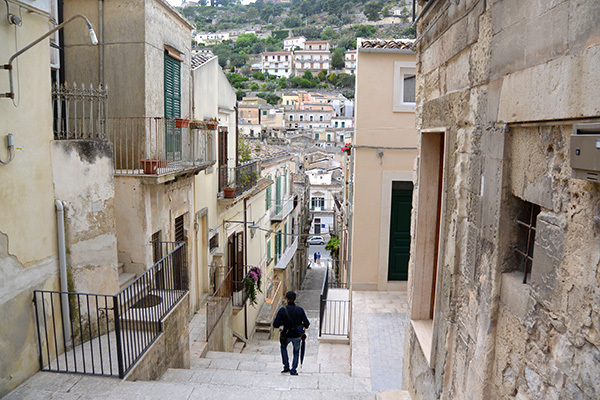 Taormina is a beautiful town but was full of tourists, even the beginning of May. 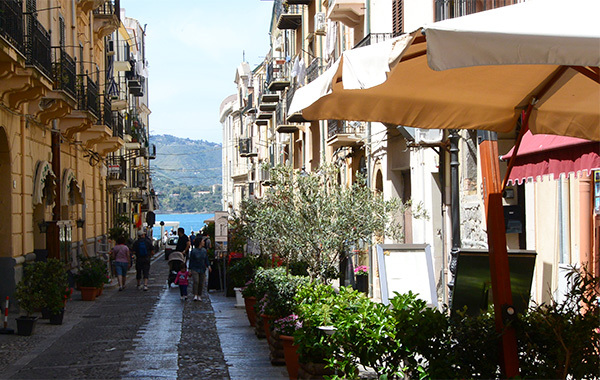 From Taormina, we explored the local towns, particularly Castelmola, where they are famous for making delicious almond wine. 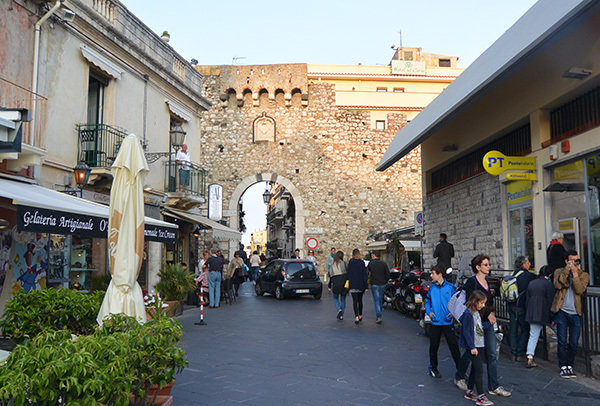 Despite the rain, cool temperatures, and the wind, we made the best of our stay in Taormina and explored the town on foot, and enjoyed a couple of good seafood dinners there. 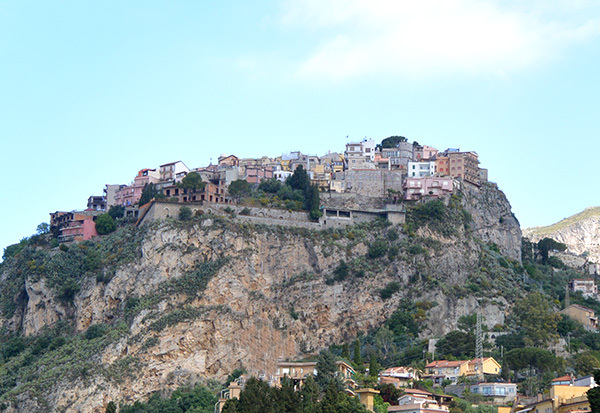 The hotel we stayed at was up above Taormina, but they had a shuttle that would take you into town and pick you up just about anytime you want. 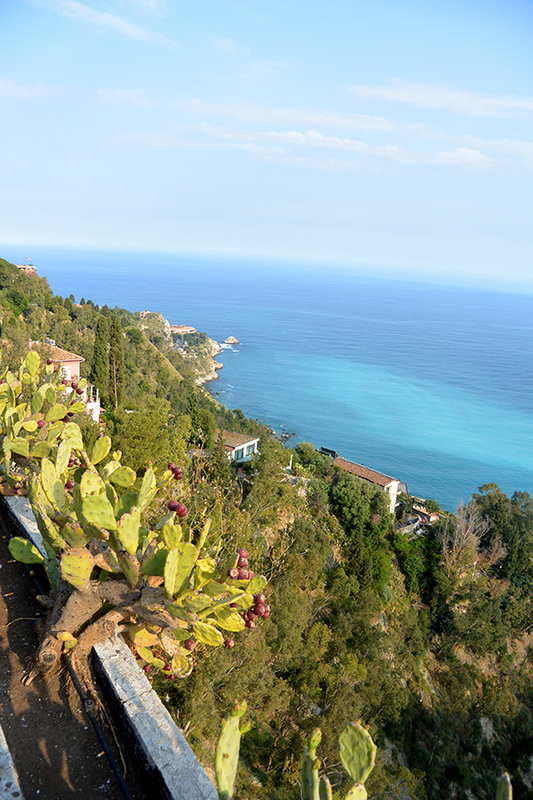 Since Taormina itself is traffic restricted this worked out perfectly for us. We found out from one of the staff that took my husband rising one morning that the hotel is owned by Jim Kerr of the band Simple Minds. 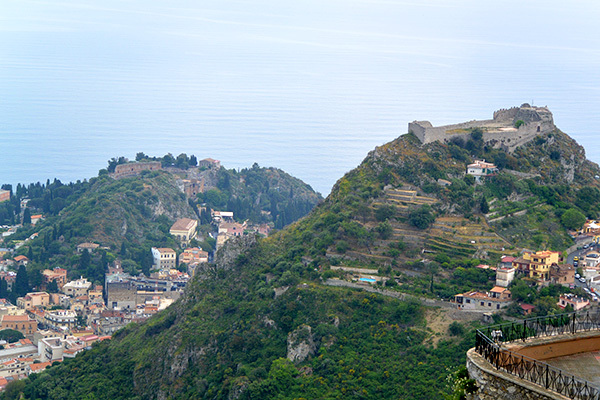 Castemola Sitting Above Taormina – Famous For Its Almond Wine. 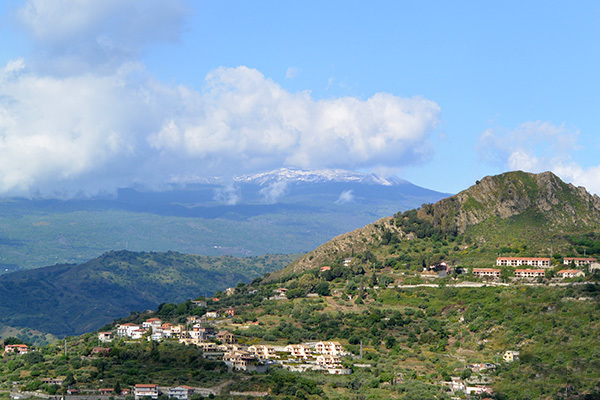 From Taormina, we headed next to Syracuse, making a round about trip to see Mount Etna. 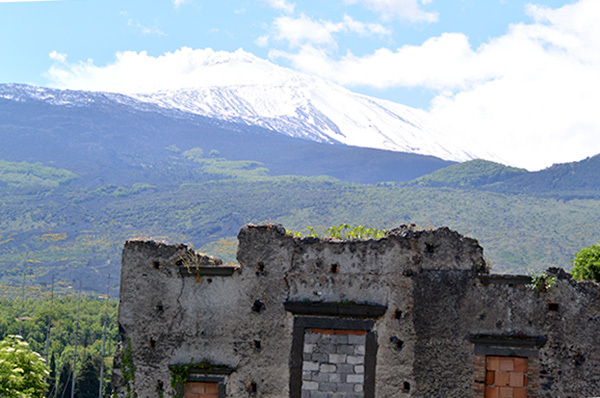 Visibility wasn’t great due to heavy clouds, but we have a few decent photos of Etna, and at least we can say we were there! We drove through Randazza, and stopped off at Linguaglossa to buy some local wine and other products. We then headed down to our hotel in Syracuse. 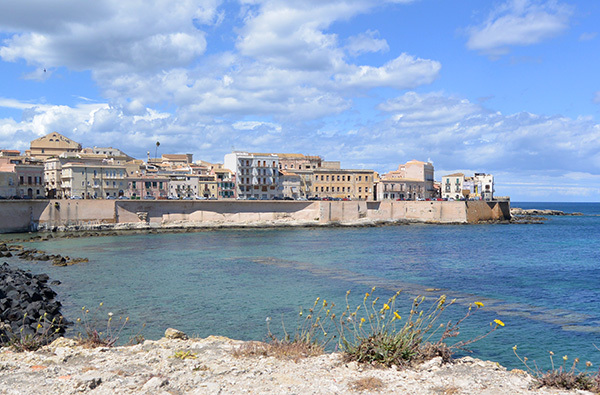 Our hotel was actually in Ortigia, the little island attached to Syracuse where the old town is. 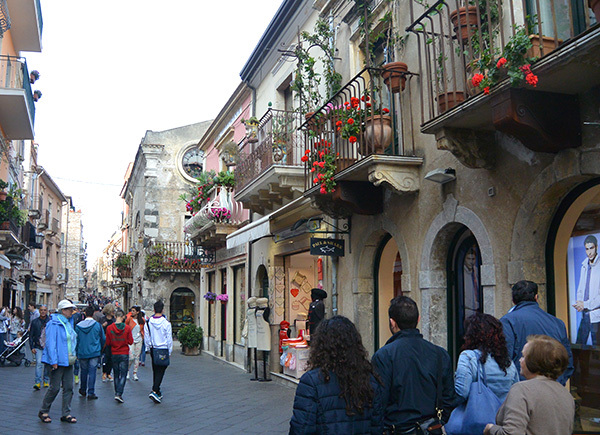 I think Syracuse was my favorite city in Sicily, as it was surrounded by water, was very clean, and just had a friendly feel to it. 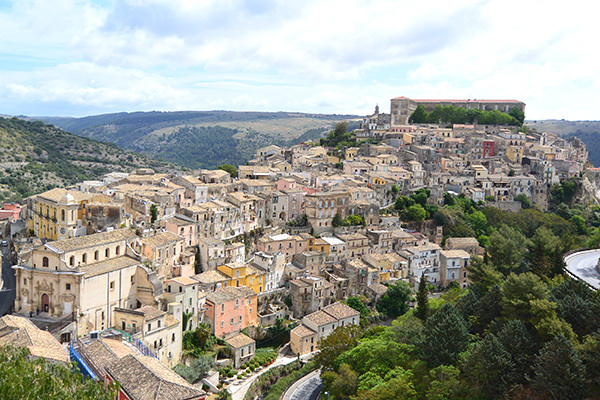 Our second day in Syracuse, we headed out to explore the three Unesco towns of Ragusa Ibla, Modica, and Noto. 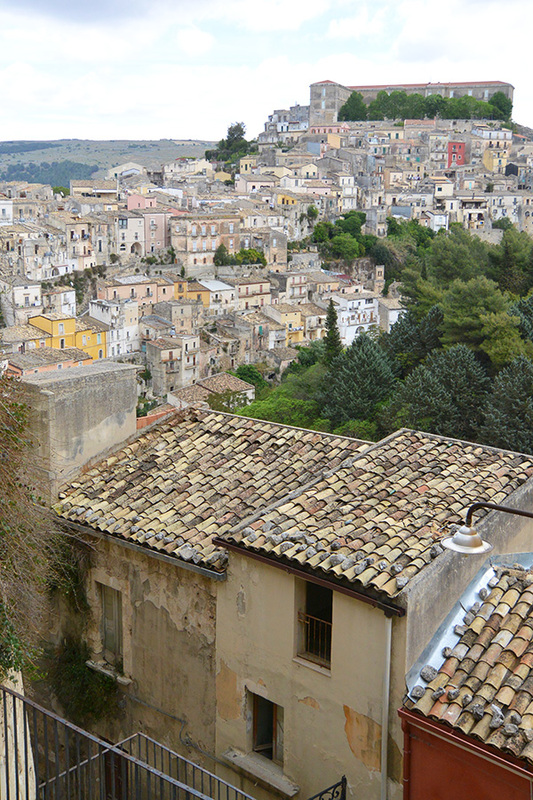 Getting down to the old section of Ragusa required walking down a lot of stairs, and the city reminded me a lot of Matera. 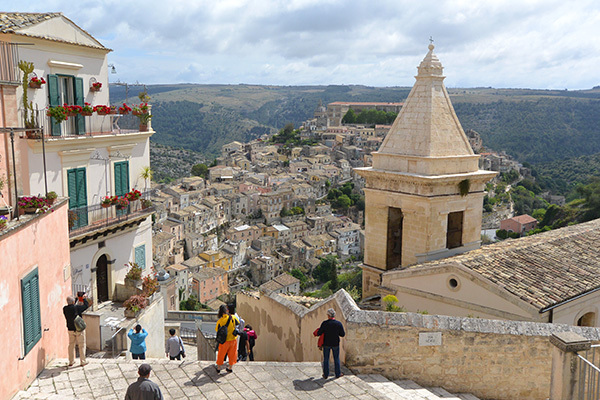 Getting back up was even harder, but once we made it back to the car, we headed to Modica for lunch. The first restaurant I chose was closed Tuesdays, so I picked another one that was highly rated. 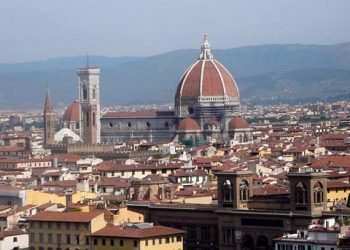 It took us over 45 minutes to find it using my iPad and Google maps, as well as asking a few locals, only to find it was closed for the month as the chef was in Florence. We walked around and finally stumbled onto a small trattoria. There were locals there as well as a few tourists, and it was a real Mom and Pop kind of place, but we had a good, simple meal. 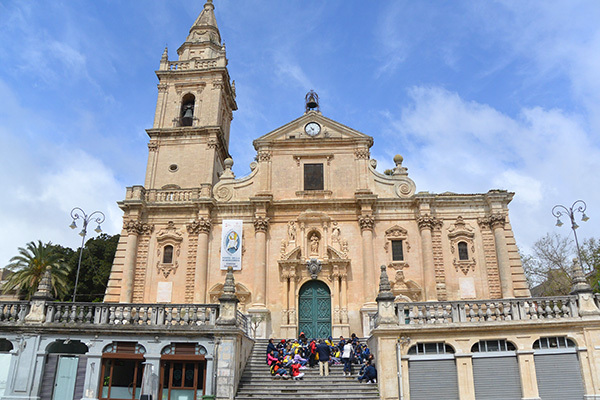 We then headed to Noto, the third and final Unesco town, and after maneuvering through miles of country roads, we finally arrived. 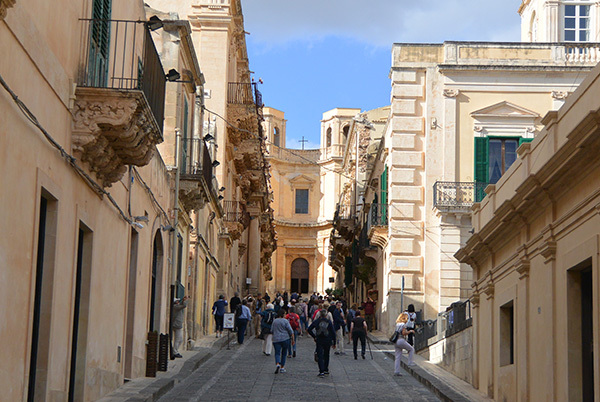 Noto was bustling full of people, and we walked down to Caffe Sicilia where we shared a Cassatina. 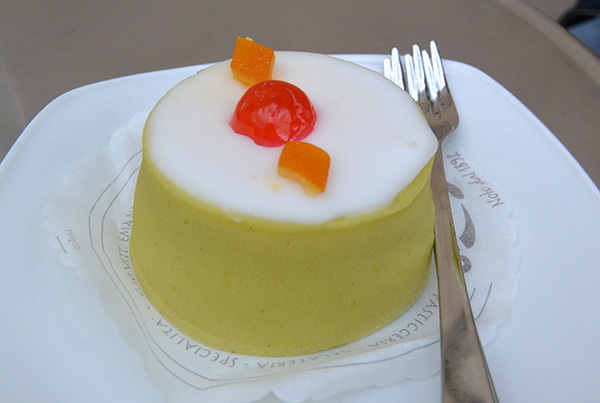 This cafe has been in Noto run by the same family since 1892. 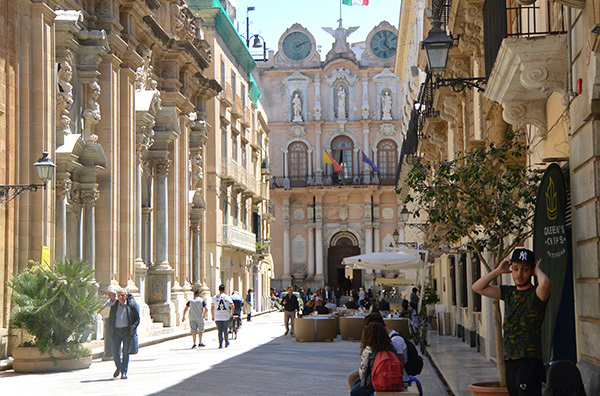 We left Ortigia under bright blue skies and headed towards Caltagirone to check out the famous town responsible for making most of the ceramics sold in Sicily. It took us over an hour and a half to reach the town on small, winding roads only to find it very difficult to drive through. 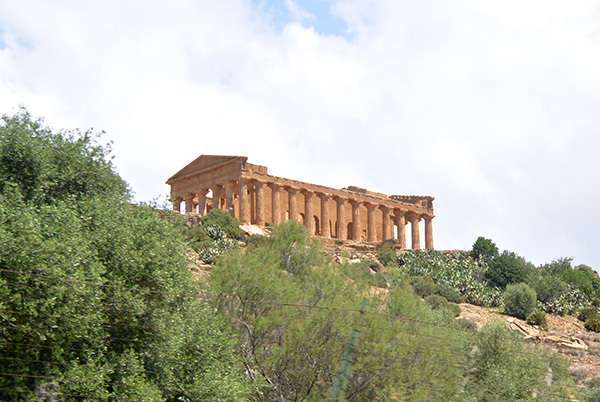 We couldn’t even find where the major ceramic factories were located so after driving through a few times, we gave up and headed to Agrigento, famous for its famous Valle dei Templi. 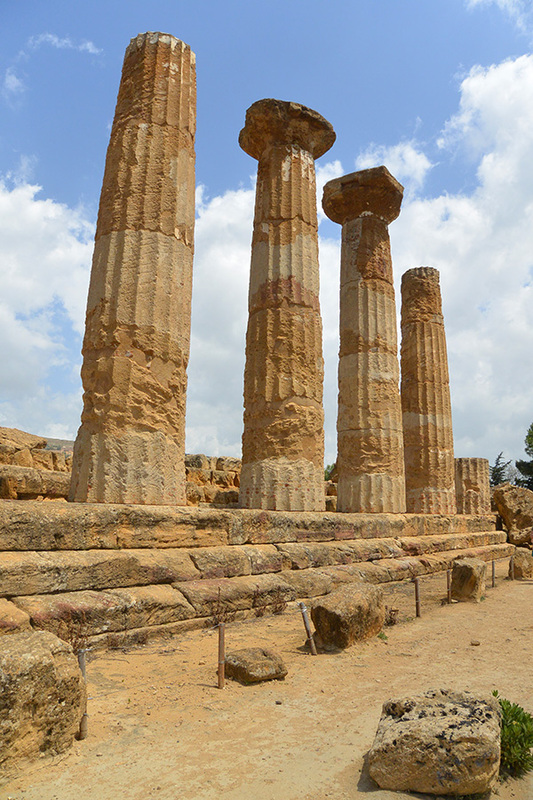 It took us almost two hours on even more local roads to reach Agrigento, but we finally arrived, parked, and explored the ruins. 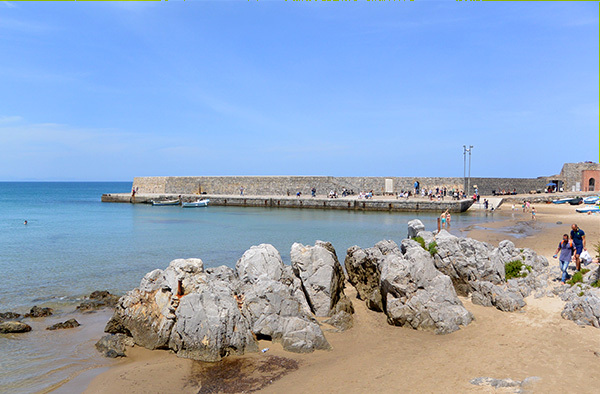 After completing the path to view all the ruins we headed to the sea to a small town called San Leone, where we found a small trattoria where some locals were dining. 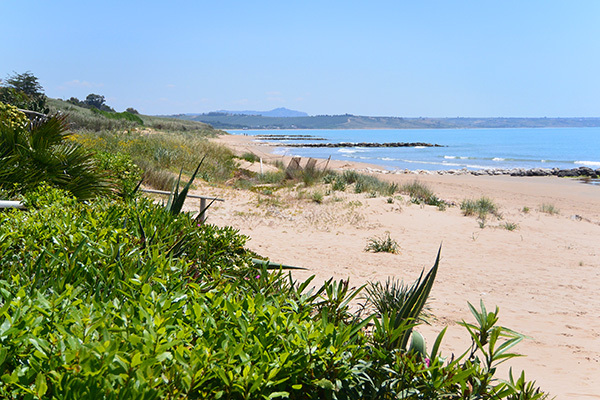 We had a lovely seafood lunch and then headed to our next stop which was Sciacca and Hotel Villa Canderino. 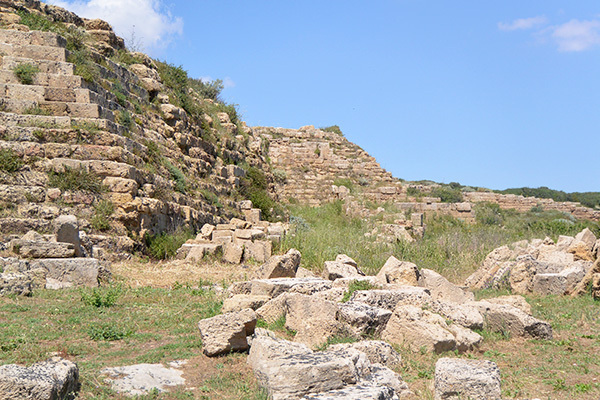 Our second day in Sciacca, we set off to visit the ruins of Selinunte, a remarkable site one can see from the highway. We took a small bus from one temple to the next which was a great was to see the ruins as they are spaced very far apart. For lunch, we had both been looking forward to eating at Da Vittorio’s in Porto Paolo di Menfi after reading so much about it. If you are anywhere in the area, you MUST dine at this restaurant. 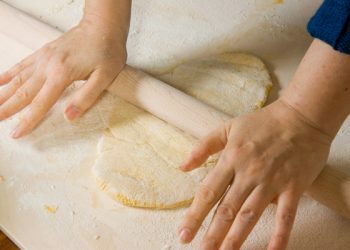 It was honestly the best meal we had in Sicily! 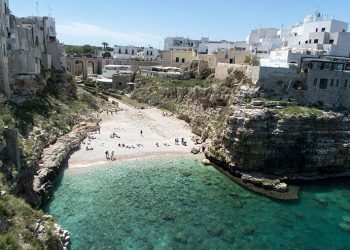 Ask for the seafood appetizers (they bring a selection depending on what is fresh), their pasta dishes are to die for, and the swordfish sublime. 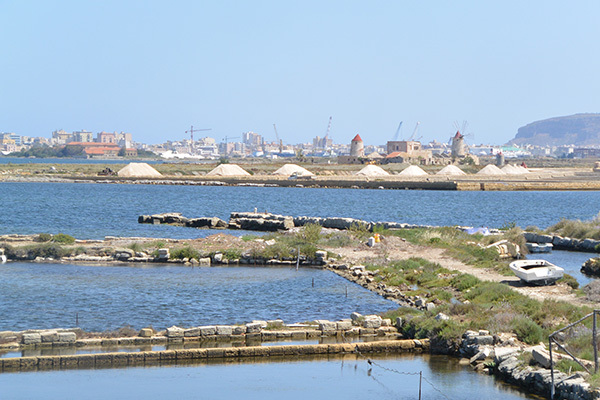 When planning our trip, I tried to book two nights at each place, but needing to break up our drive from Sciacca to Palermo, I had booked a hotel in Marsala for one night so we could do some Marsala wine tasting, and visit Trapani and the salt flats. 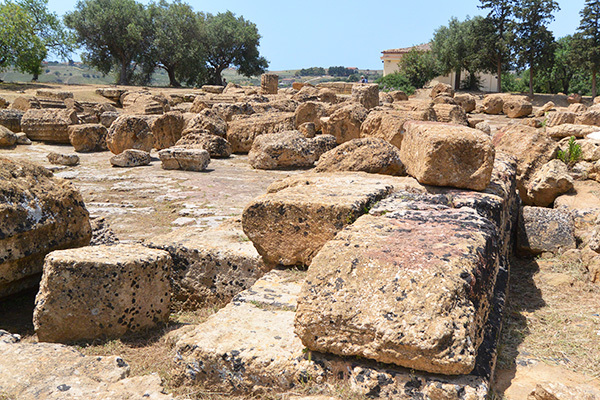 I won’t share our hotel in Marsala as I found it lacking what was promised, but I do encourage you to visit Marsala and visit a couple of the cantinas. 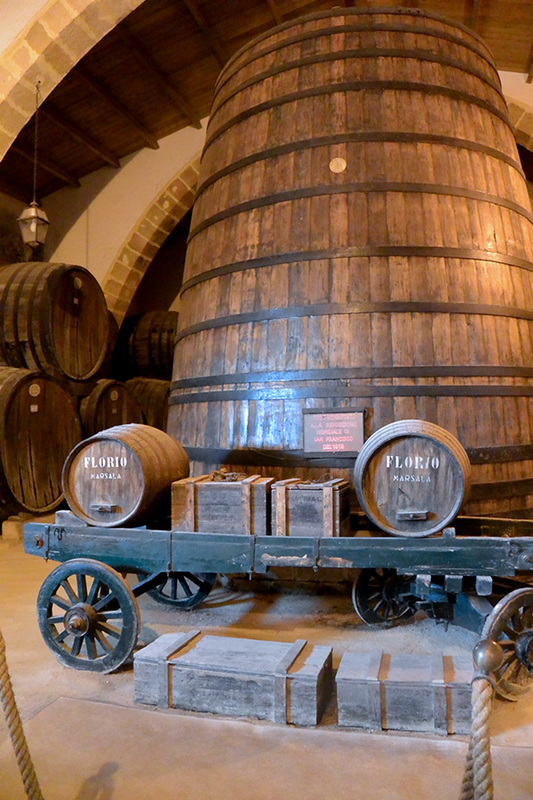 We did a tour and tasting at Cantina Florio, which we both thoroughly enjoyed. 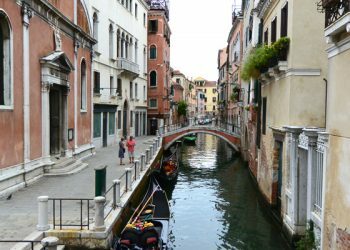 The town is also beautiful and has a lot of shopping to offer. 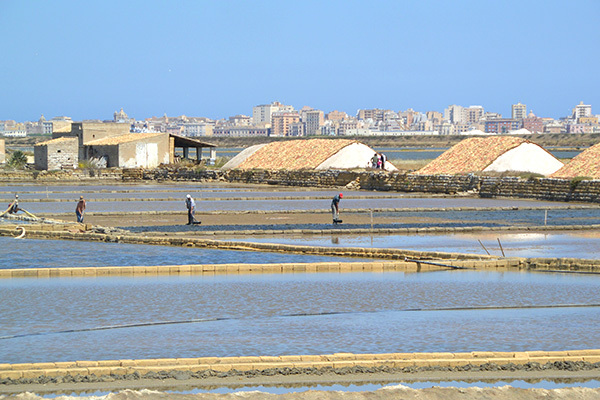 Just up the coast from Marsala is Trapani, which is famous for its salt flats. 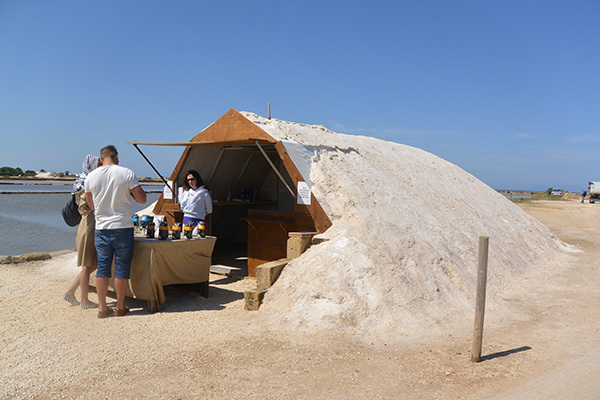 They too are quite remarkable to see, and I recommend getting a tour at the salt museum to understand the history behind the process. Our lunch at Cantina Siciliana, at our friend Judy’s recommendation, was another delicious meal, and the owner Pino treated us very well after getting a message from Judy stating that we were coming. 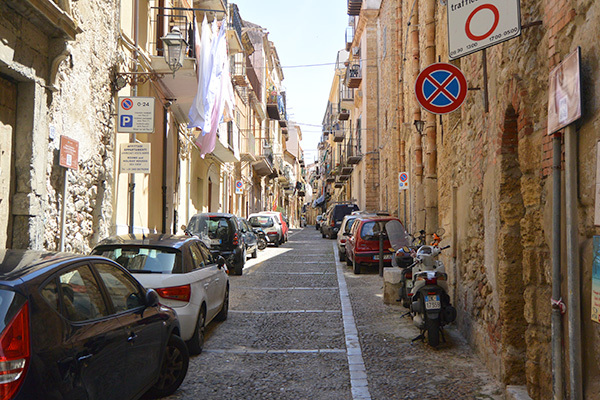 The trattoria is in the Jewish ghetto area of Trapani, and a little tricky to find, but well worth the effort. 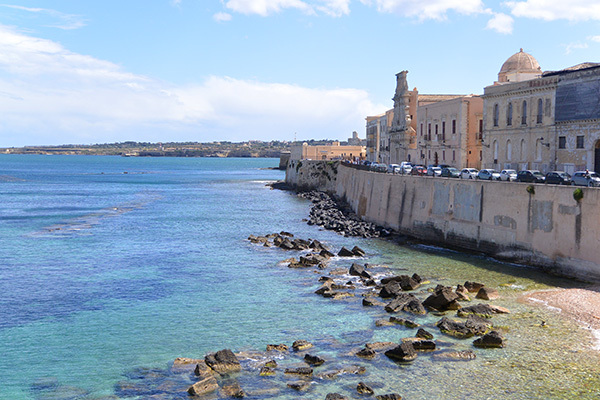 Trapani itself is another smaller city worth exploring on foot. It sticks out like a finger with water on both sides, so has some fantastic views. 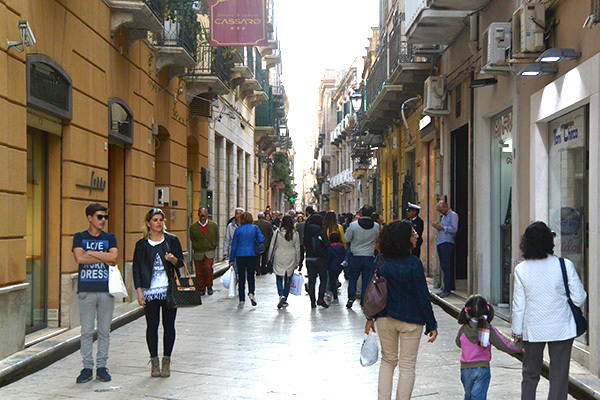 I found that I had sort of a love/hate relationship with Palermo. I loved the three markets that you MUST visit if you are there, and I loved the food, especially the street food. I did not like how busy the city was, jammed with traffic everywhere, how dirty it was, and how many gypsies were everywhere you went. You could not even sit outside at a bar or enjoy outside dining, without one person after another coming up to beg money or sell you some piece of junk. 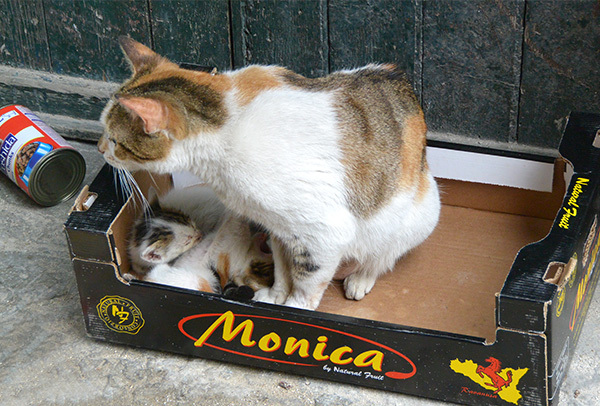 I also picked another hotel in Palermo that I won’t recommend. It is a shame because it was once a famous, grand hotel, centrally located, but has been allowed to fall apart. The two restaurants we visited were very busy, and I do recommend getting reservations. 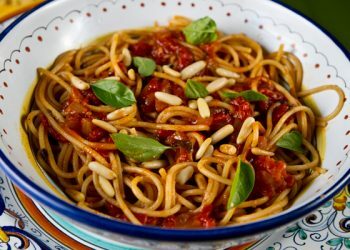 The food was excellent at both restaurants, but we did feel rushed at Il Mirto, and the service was not as good there. 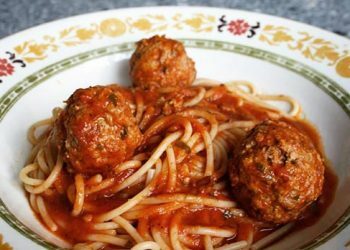 I also highly recommend Antico Caffe Spinnato. I could swoon simply looking in their windows! 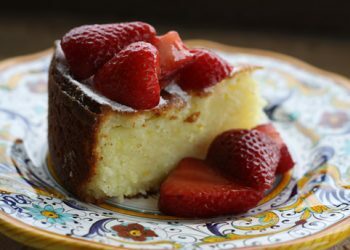 Their pastries are drool worthy, and their brioche con gelato was truly memorable. 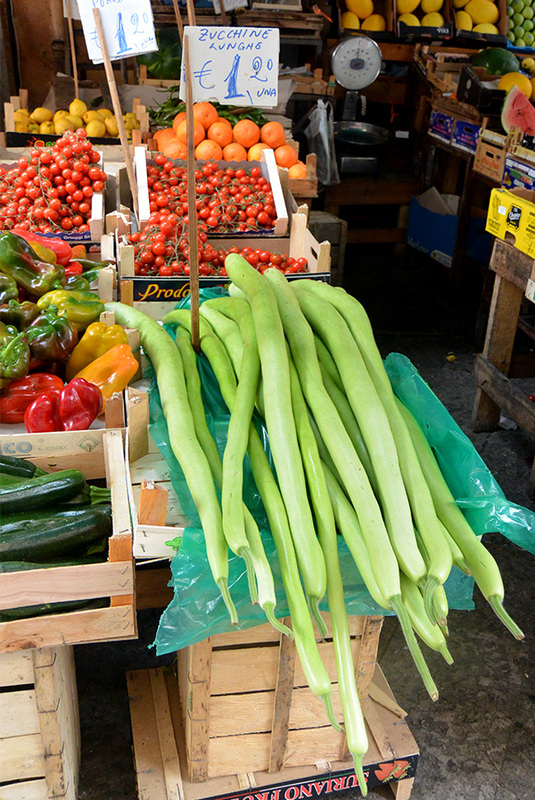 The Vucciria market is open Monday through Saturday from around dawn until 2 pm (like most of the markets in the city). 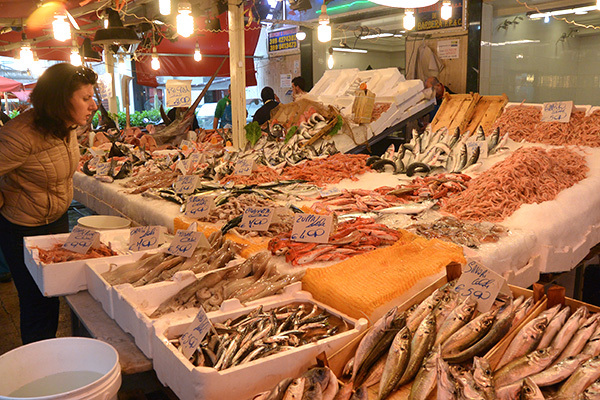 All kinds of fresh seafood, herbs, and local produce are on offer, but you’ll need to go before 10 am to get the best options on those goods. 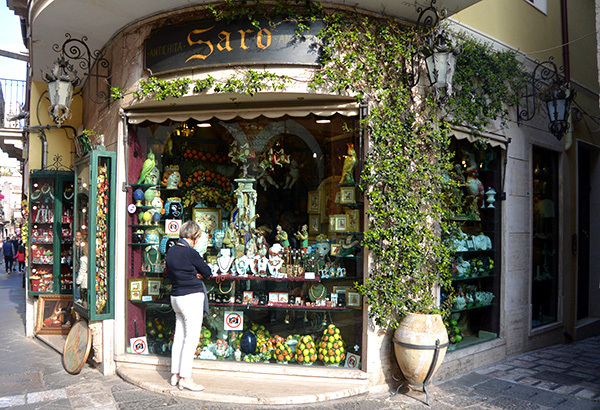 Souvenirs and local handcrafts are also available at the Vucciria market. 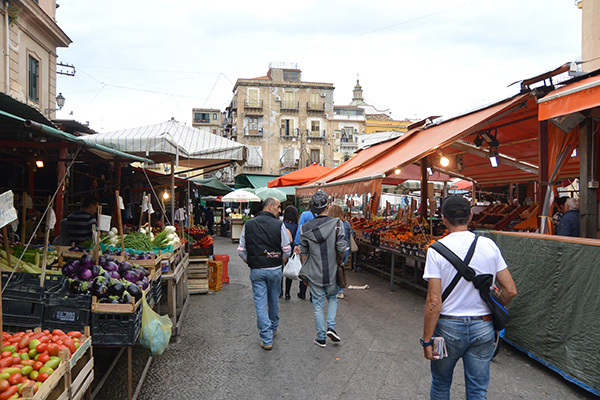 The market begins at Piazza San Domenico, off Via Roma, running parallel to Via Roma (from which it is hidden) along Via Maccheronai toward Piazza Caracciolo and Corso Vittorio Emanuele, branching off along Via Argenteria. 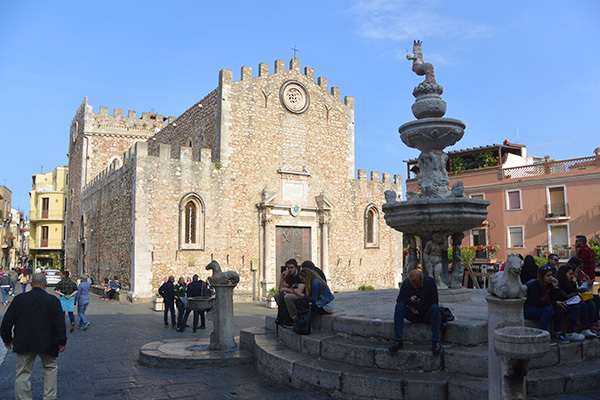 Located behind the Teatro Massimo, and extends from Via Porta Carini off Via Volturno near the old city wall toward Piazza Beati Paoli and can also be reached from Via Sant’Agostino, which runs off Via Maqueda. 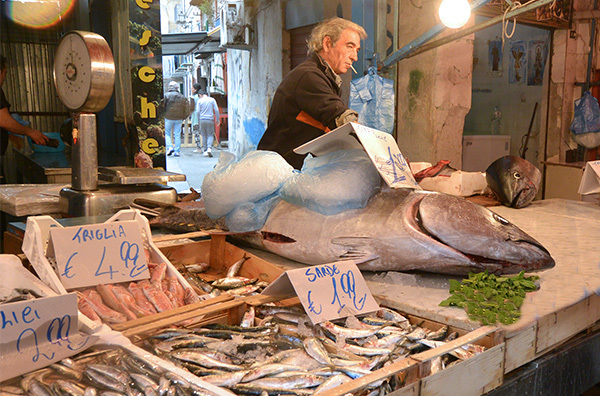 Though the Capo market sells a variety of goods, locals bypass them for the food. 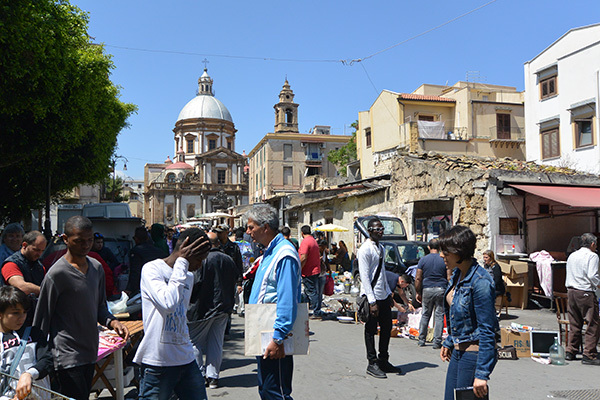 In a concentrated section on the Via Volturno, street vendors have all the local delicacies. 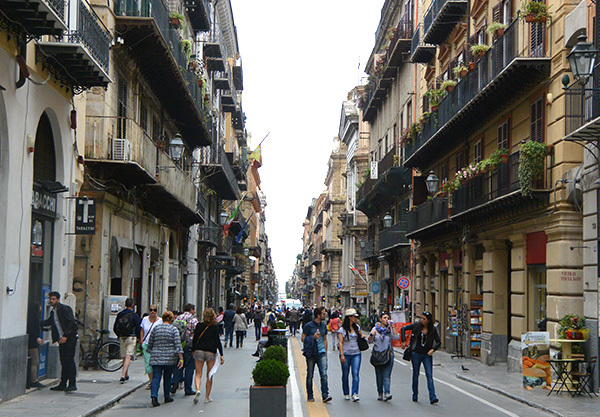 Located a few steps from the Martorana Church and Quattro Canti, the Ballaro combines food and clothes. 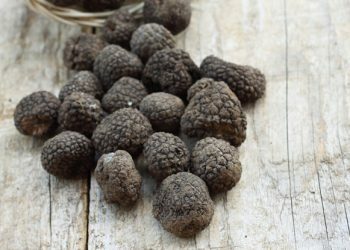 Primarily a food market, the Ballaro market is a street food eaters delight. 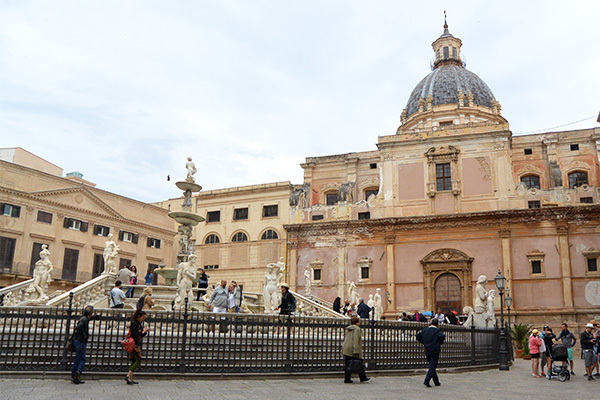 After leaving Palermo, we headed off to Messina to spend one night before taking the ferry back to Calabria and heading back to Umbria. 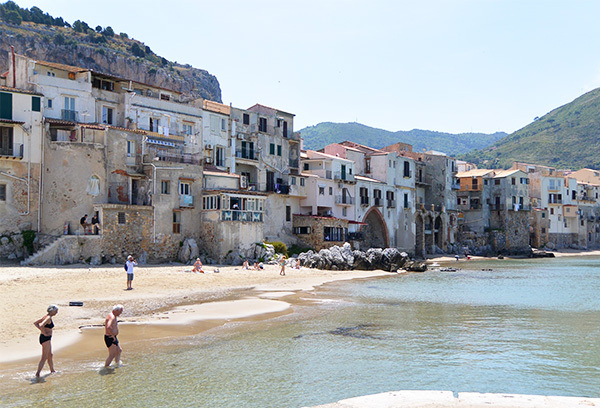 Messina is not a city I ever hope to visit again, so I won’t even discuss it, but Cefalu is a beautiful seaside town well worth visiting. 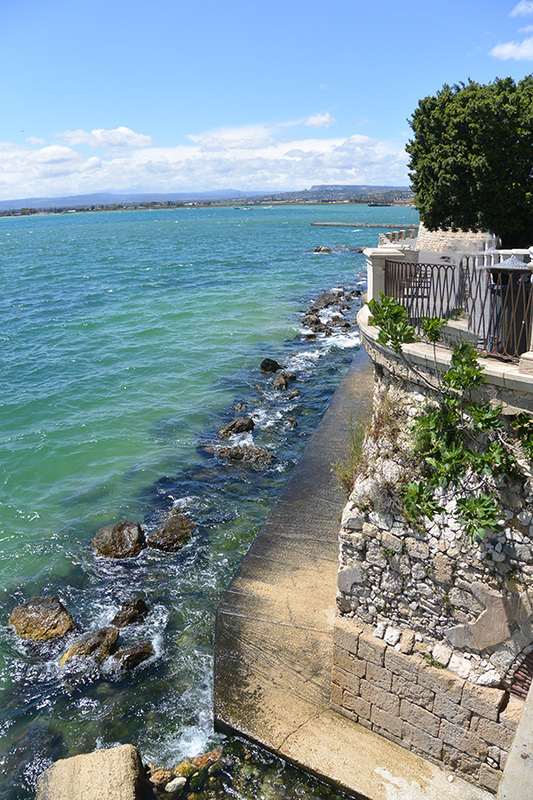 We ate at Il Covo del Pirata, had a waterside table with a fantastic view, and the best sea urchin pasta ever. 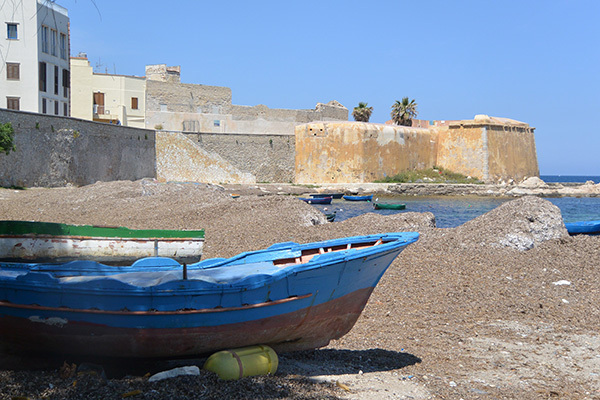 Thank you for sharing your beautiful photos of Sicily. I haven’t been there. Your posts are always so informative. I want to jump on a plane right now. Thanks for comments and addresses. 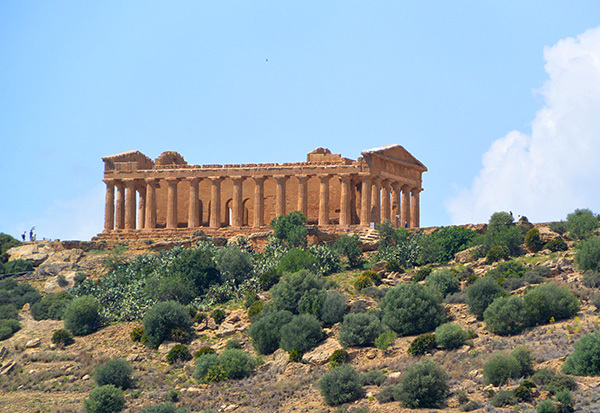 We’ll be in Sicily from 1st to 15th June for our second visit. Any other suggestions off the beaten track. 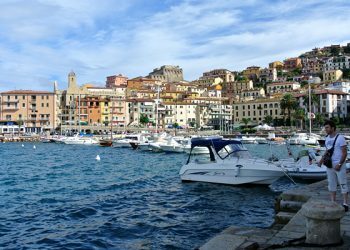 We’ll be mainly in the North of the isalnd plus Taormina. Thank you for posting those wonderful photos. You have the greatest life! Thanks Sue, I do think we are blessed! These are so beautiful!! Thank you for sharing. 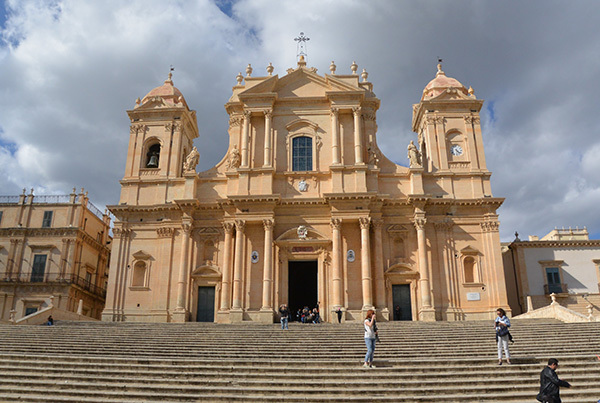 We just returned from a 9-day Mediterranean cruise and Messina was one of our ports…first time to Italy would love to return someday it was amazing!! 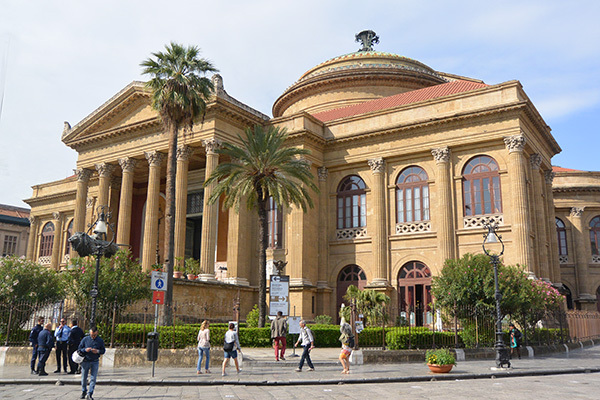 I hope you saw more of Sicily than just Messina!